Doesn't look bad that Caterham 21, what was wrong with it, why so little interest? Done. Called the Caterham 21. Apart from 27 people, nobody bought it. 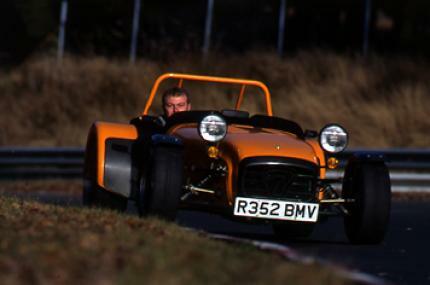 one day i would love to see Caterham build a REAL bodyied car. not that im complaining, but a car with like an actual body, not this go-kart like body.